Burflex Scaffolding Hull is on hand to design solutions that will fit not only your project, timeframe and budget, but also the specific building and premises. 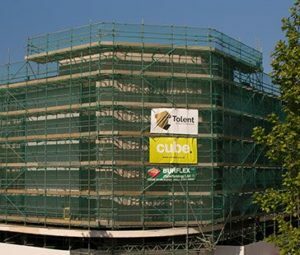 A scaffolding solution that works perfectly for a block of luxury apartments may not suit a 700-year-old place of worship, so we use our expertise to work out the best form of access to utilise, whether that be conventional tube and fitting scaffolding, Layher system scaffold, or a form of alternative access. If you have a construction or regeneration project planned in Hull or East Yorkshire, we want to know about it. With years of experience in providing industrial and commercial scaffolding systems for a range of sectors, we’re confident that we can give you everything you need to get your project in full flow in record time. Using a combination of Smart Scaffolder CAD software, 3D testing and 2D working drawings, our team of specialist designers talk you through viable options while supplying valuable insight and advice. Once everything has been agreed, we get to work on your project in Hull, keeping you in the loop every step of the way. We’re well able to demonstrate our ability to consistently provide products that meet customer, statutory and regulatory requirements. We are also a member of the National Access and Scaffolding Confederation (NASC), proving through regular audits that we adhere to their stringent safety and technical standards. While we’re based in Hull, which means we can provide our expert services to customers right across the north-east and beyond. We always have projects on the go around the whole of the UK, so even if you’re not based in the north-east but want to make the most of our specialist skills and services, do get in touch with us today. It’s also worth noting that no project is too big or too small. Here at Burflex, we have contracts with all sorts of different building and commercial companies, including some of the biggest in England – but that’s not to say that we don’t put equal focus into the one-off projects for the smaller firms that we’re hired to complete. We have a portfolio of work that covers both public and private sector customers, and we’re here to serve every kind of business and organisation. No matter what kind of company you run and whatever your specific needs, know that we can deliver a solution effectively, safely and smoothly. If you’d like to find out more about how we can help get your project off the ground, get in touch with the Hull scaffolding team today. Providers of Comprehensive Scaffolding Systems. Burflex Scaffolding is on hand to design solutions that will fit not only your project, timeframe and budget, but also the specific building and premises. What could work perfectly for a block of luxury apartments might not suit a 700-year-old place of worship, so we use our expertise to work out the nitty-gritty before presenting a course of action. If you have a construction or regeneration project planned in Hull or East Yorkshire.